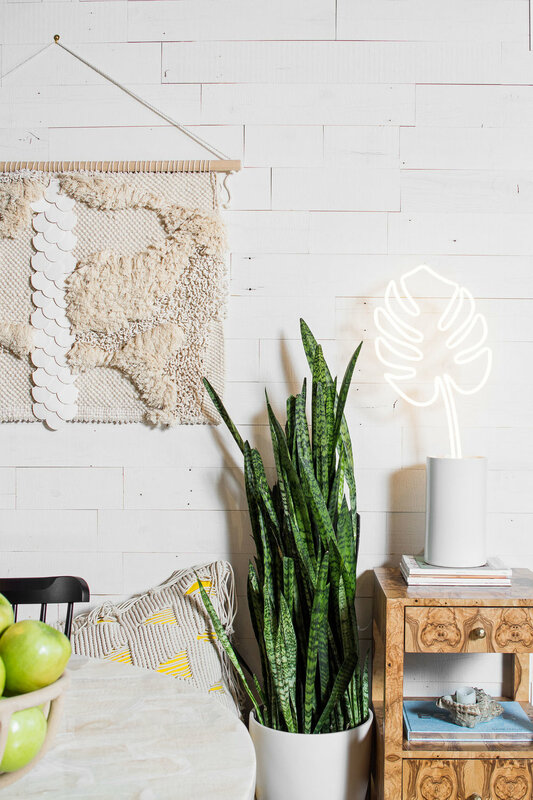 Design on a Dime: A Behind the Scenes Look at Our Room & The Inspiration Behind It. We recently participated in Design on a Dime, a premiere design-charity event taking place annually in NYC & Miami. The event was founded in 2004 by Designer James Huniford, and is organized by Housing Works, a non-profit dedicated to ending the dual crisis of homelessness and AIDS. 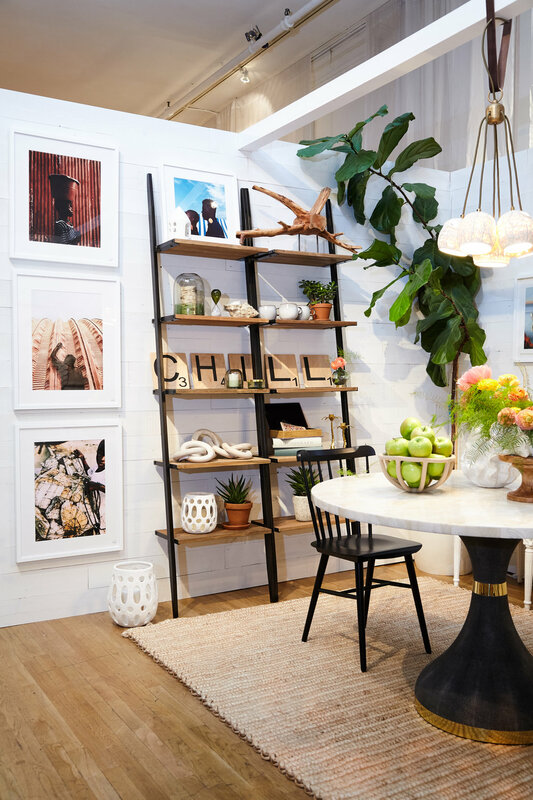 We were absolutely thrilled to be included in the elite group of sixty designers who were challenged to create a unique room vignette curated with donated merchandise from well-known home decor brands and artists. Not only was the event a ton of fun, but it allowed us to pursue an avenue of design that we are most passionate about: using design as a tool for greater good. This year Design on a Dime raised over $1.2 MILLION in support of Housing Works mission to end homeless & HIV/AIDS, and we could not be more proud to have contributed to this incredible cause. The money is raised from ticket sales, and from the proceeds of the merchandise, which is sold over the course of 3 days at charitable prices (50 - 80% off retail!) to design-savvy attendees. If you are interested in design and love to shop, this is one event you shouldn't miss! Our room was inspired by the tropics. At Lorla Studio we feel that any temperature below 70 degrees is too cold, and that life is better with a tan and flip-flops. 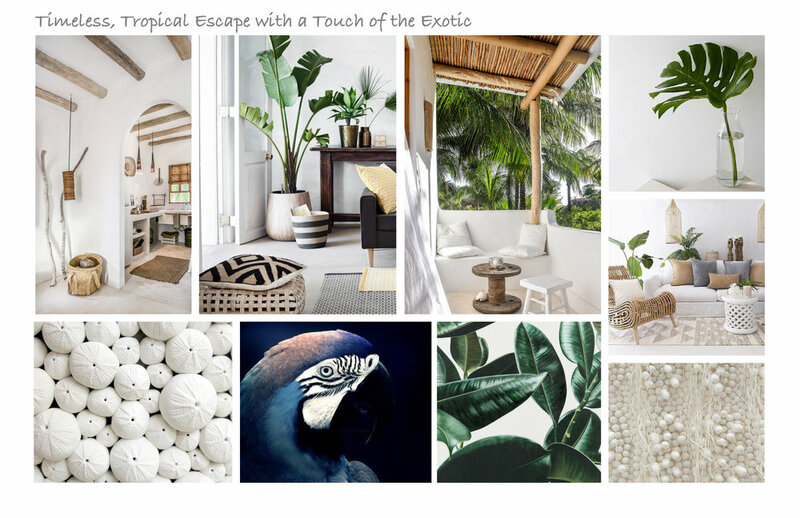 We wanted this sentiment to come across in our design, and we wanted to create a space that evoked the warmth, care-free and laid back vibes that come with being on an escape somewhere warm and exotic. 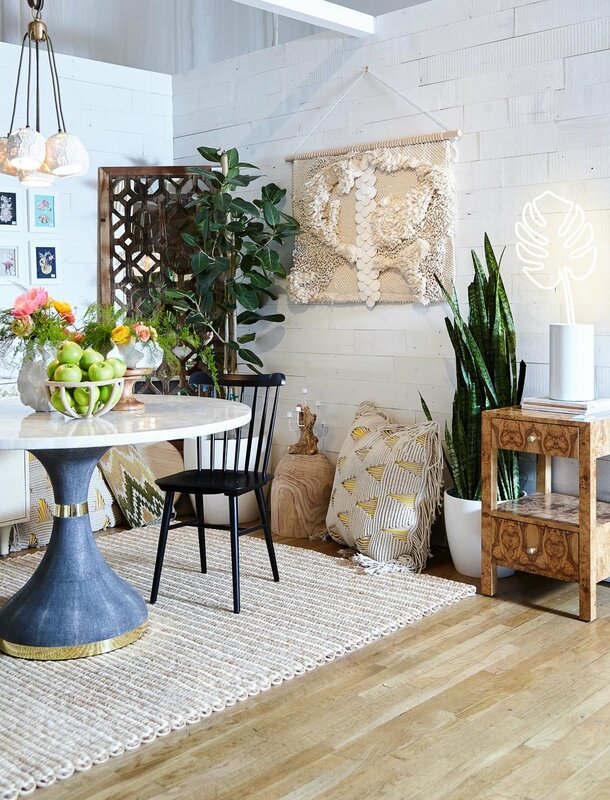 In case you haven't noticed, we love plants, and think that no room is complete without at least one living thing. We always strive to incorporate plants in our designs, and the plants in our room were actually grown and nurtured by Laura herself over the past 3 years. 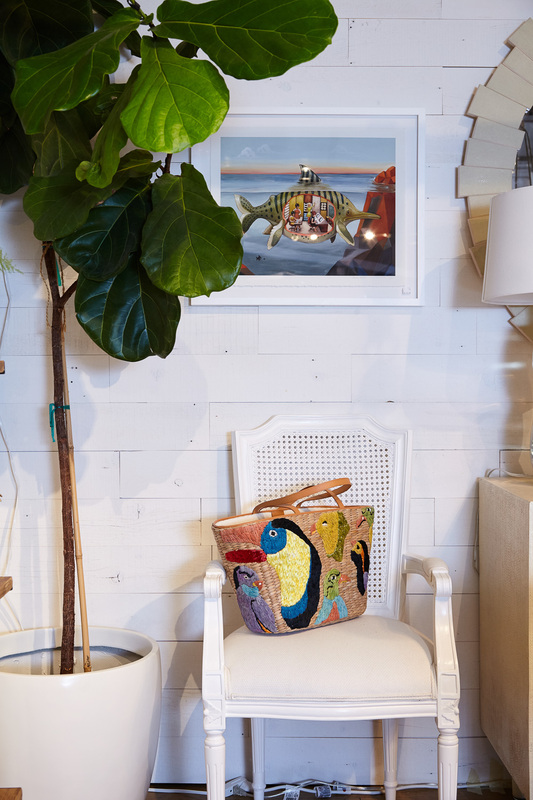 One of our favorite parts of the room is all of the artwork and accessories, and this is because we sourced all of our decor to be unique, and sought to work with as many local female artists as possible. For instance, you’ll find green glass vases and votives on the shelves that were sourced on a trip in Norway, a sculptural chain created by local artist, Michelle Quan, a handmade porcelain light fixture created by the talented Kelly Storrs of LowLand studio, an amazing print inspired by the incredible women working on supercomputers in the 1960s which was created by local artist Shyama Golden, and a truly one-of-a-kind monstera leaf neon sign created by Name Glo (for a more in-depth look at some of our donors check out our blog post dedicated specifically to them!). 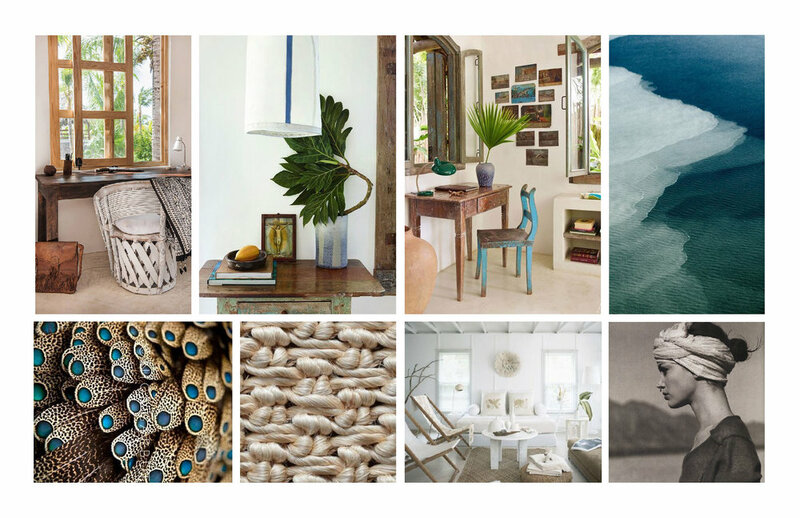 One of the first things we did for this project was create a mood board, and this helped guide our design throughout the process. Our mood board conveyed the look, feel and vibe that we were going for, and served as a useful visual tool to share with potential donors so that they could contribute items that helped make our vision a reality. As our design progressed and we were able to nail down some of our larger items, we were then able to create a rendering of our space. 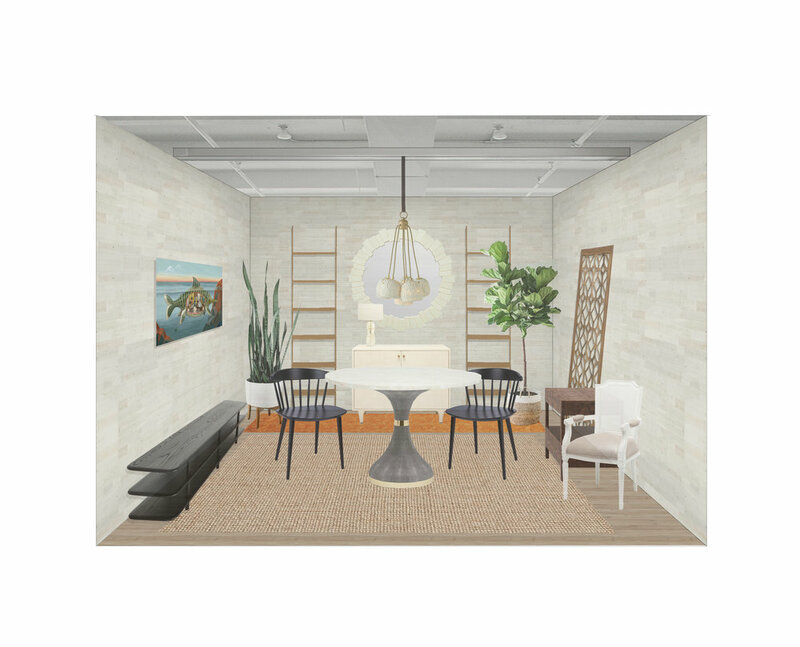 The rendering really helped us get a better feel for how the space was coming together, and allowed us to focus on what smaller items, such as accessories and decor, were needed to finish the space. A generous cash donation allowed us to source our accessories from Anthropologie, Collier West, Prince Jyesi, Ting in Norway & our own storage unit full of fun goodies!